The current members of NAIST Kendo Club. 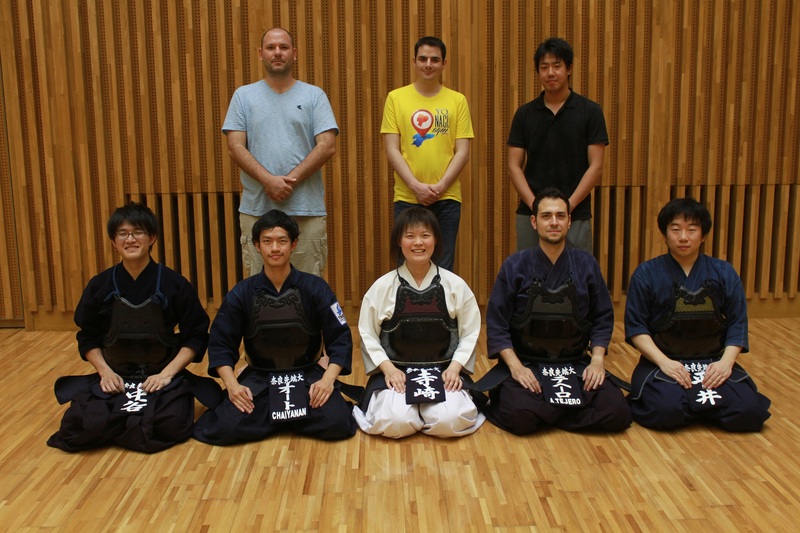 NAIST Kendo Club was founded in Fall 2015 by Antonio Tejero de Pablos, a doctoral student from Spain. 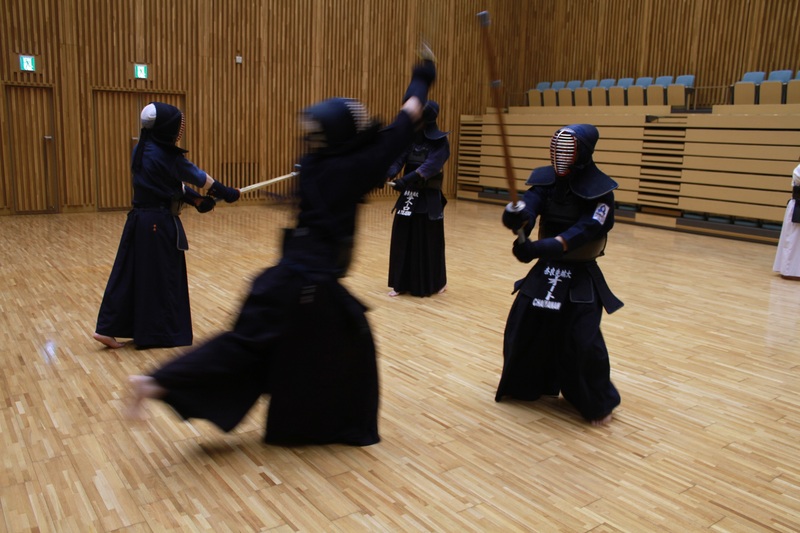 He has been practicing kendo for several years, and he was very surprised when he realized NAIST did not have a kendo club. Therefore, he gathered the kendo players that are studying at NAIST and they created NAIST Kendo Club. They not only have practices on campus, they also go to other dojo to train with various instructors. There are special practices before tournaments and also for the people who are taking their grade examination (shodan, nidan, sandan, etc). There are currently 10 members, of which half of them are international students. This, beside the fact that the president is Spanish, helps to promote culture exchange in NAIST, and promotes the interaction between Japanese and international students. Members have different levels: from complete beginners, to a player from Thailand’s national kendo team. 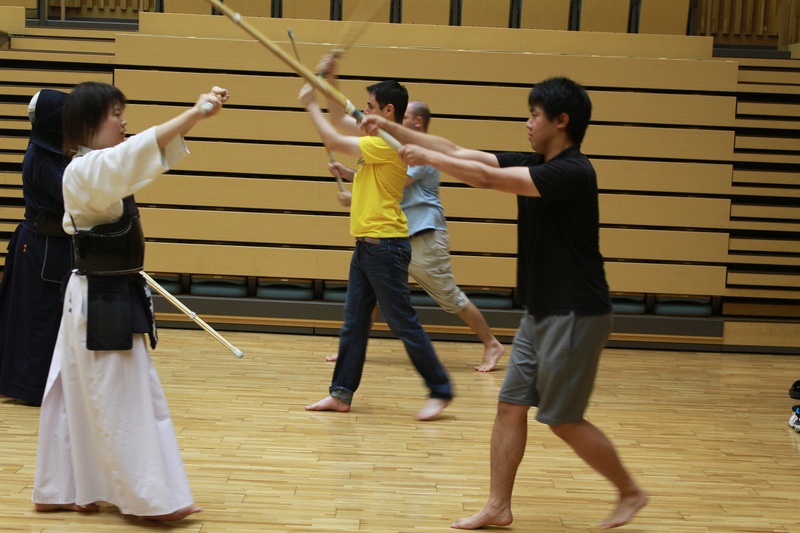 When a newcomer enters the club, they prepare special practices for them so they can experience this Japanese tradition even if they don’t have any experience. Beginners practicing at NAIST Kendo Club. Practitioners say that kendo helps them to relieve stress, and to improve their concentration when they go back to their research. NAIST Kendo Club is always looking for new members to expand their activities, so if you are interested come visit for a tour! 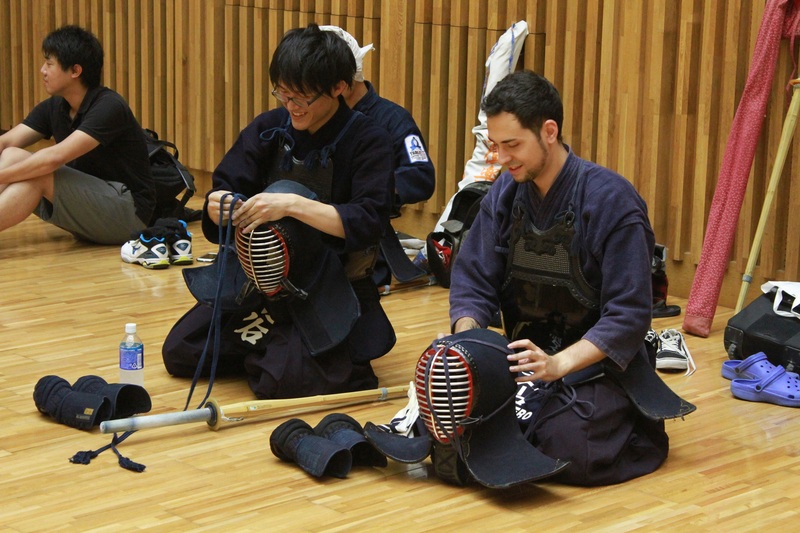 NAIST Kendo Club members relieving stress.